Spores ripen July-August. Evergreen perennial. Native. 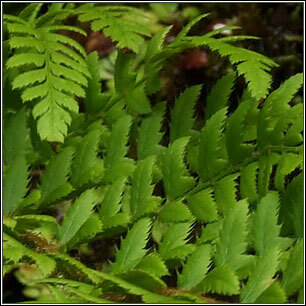 Stiff, glossy, dark-green fronds (30-90cm long), the pinnae arching towards the tip of the fronds. Stalks with brown scales. Sori with circular indusia are situated on the veins which continue past them to the frond margins. 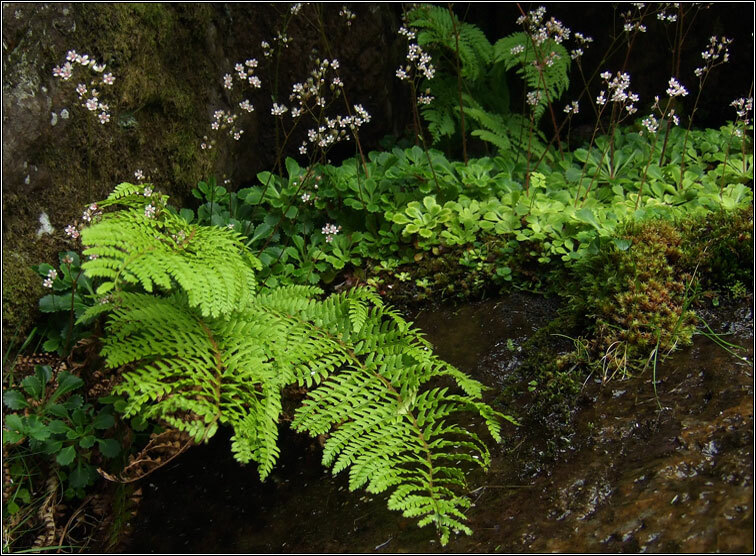 Occurs on mildly-acidic to base-rich soils in steep, wooded valleys, mountain gorges and hedgebanks. Also found in the grikes of limestone pavements. Most frequent in the north of Ireland.